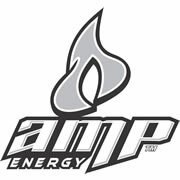 Amp is an energy drink brand that is produced and owned by PepsiCo, introduced in 2001. The product is sold in the United States and Canada, and as of 2009 was the number four energy drink brand in the United States in overall retail sales. AthletePromotions.com can assist you in securing a sports star for an Endorsement Deal just by calling our agents at 888-246-7141, or by filling out our online athlete endorsement form. >>> Book an Athlete for a Sports Drink Endorsement Deal.